Even though modern fiction and film would have you believe that breaking a horse to ride is a process that occurs overnight, in actuality, bringing a horse up from youngster to riding horse is a multi-year process. First, the horse must learn to trust his trainer, then as he matures and begins to improve his focus, the true training accelerates. 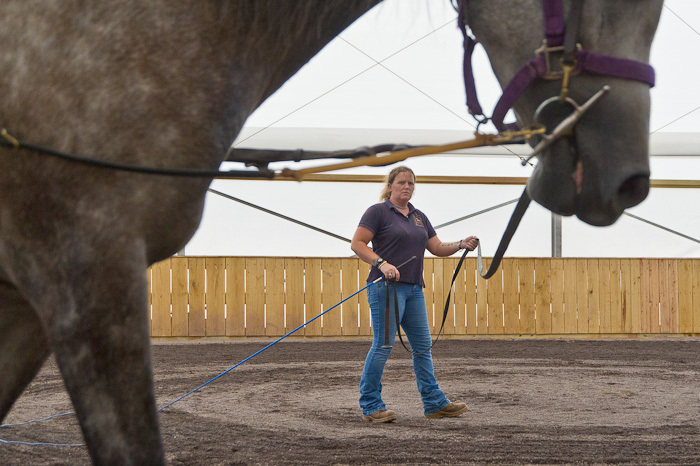 When a horse is “in the zone,” he’s attune to his trainer, reading her body language, listening to her voice and anticipating the next cue. Communication becomes effortless. Then, when you finally climb aboard to ride, it’s just one more small step in the horse’s education and two are truly one.